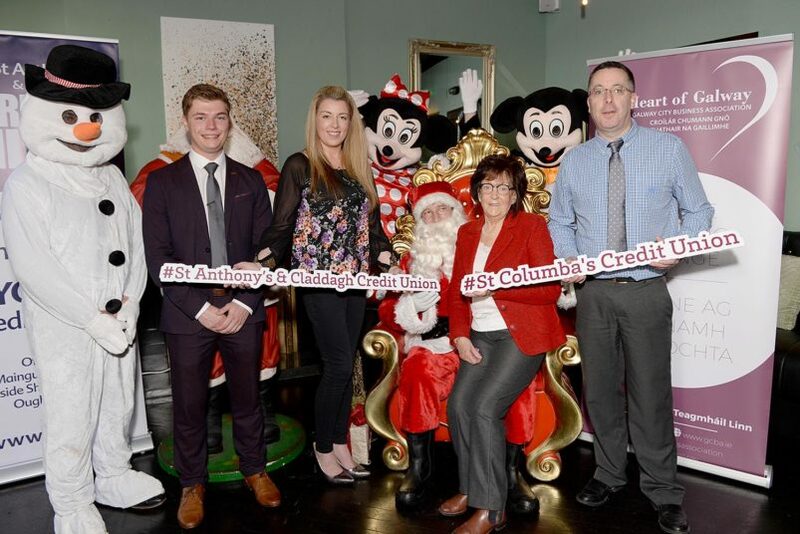 To Celebrate that we are joint corporate sponsors with St Columbas Credit Union – Galway Credit Union of Light Up Galway this Christmas, we have a SUPER Competition! WIN a limited & exclusive ticket for an adult & child on THE SANTA TRAIN that will take you through the City lighting up each quarter of the City as you go. Be part of the Christmas Light Up Galway Parade! Open only to children up to 2nd Class only. Colour in Santa on his Train (below) & return your entry to any branch by 1pm Thursday 15th November. Both Credit Unions have a Golden ticket each to give away! Delighted to be working with Visit Galway City, The Latin Quarter Galway, Galway City Business Association Galway’s Westend, The Village Salthill, East Village, Wood Quay & Galway City Council. St Anthony’s Credit Union Member Satisfaction Survey – tell us what you think and be in the draw for a €100 voucher! Enter your membership number in the box provided and you will be included in the draw. As soon as the draw has been completed your entry will be destroyed. The survey is completely anonymous and is being managed by an independent third party. St Anthony’s Credit Union has no access to your entry details. Many thanks for taking the time to help improve your Credit Union.